We bring special occasions to life with our bespoke gifts. 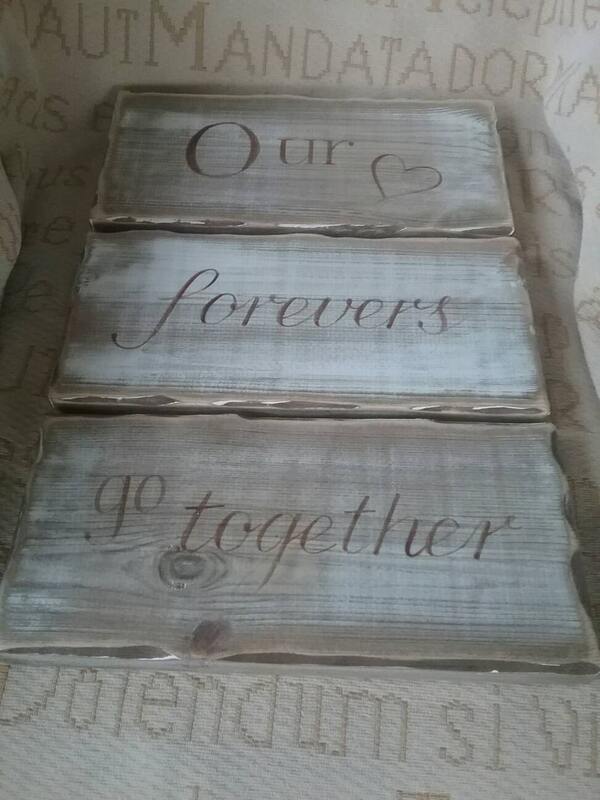 A beautiful handmade distressed, shabby chic plaque which is lovingly prepared for you. 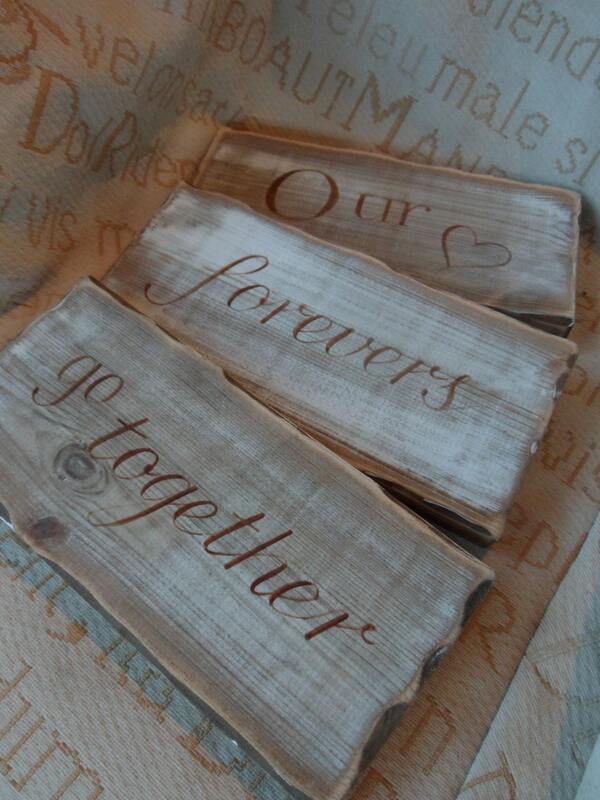 They make fabulous gifts, whether it be for a wedding, engagement or anniversary gift. 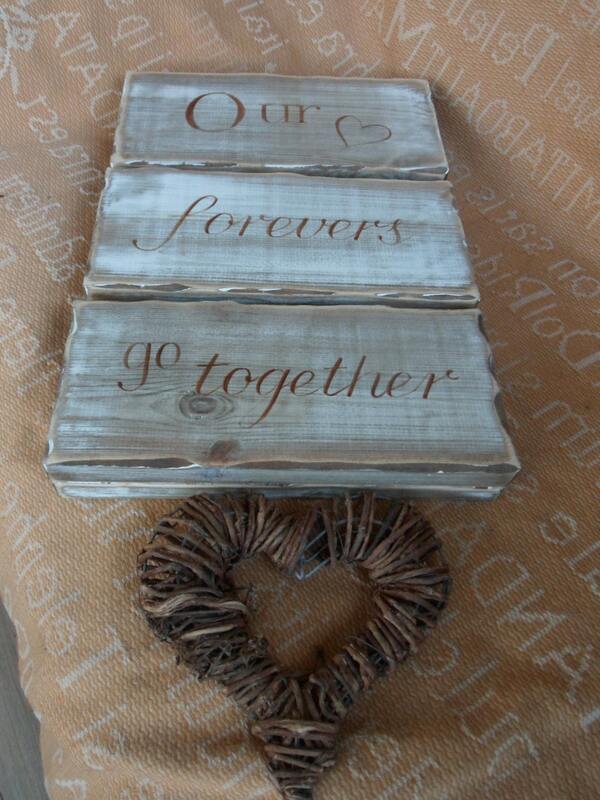 Our forevers go together is a distressed and shabby chic sign and plaque. Our handmade plaque is a perfect table decoration for a bridal shower, engagement party, rehearsal dinner, or wedding reception. 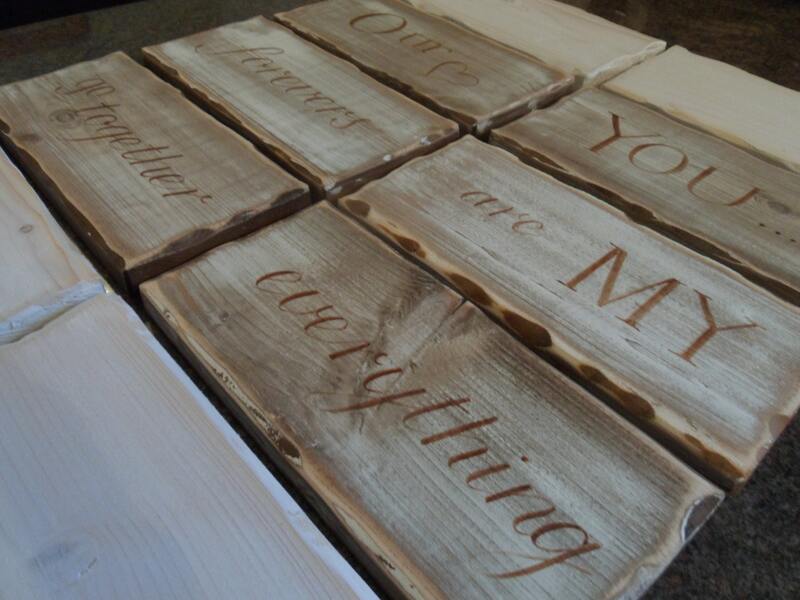 This can be personalised with the bride and grooms names on additional rails and makes an ideal gift for many occasions, such as a wedding, anniversary, bridal shower, engagement party, housewarming, and much more! 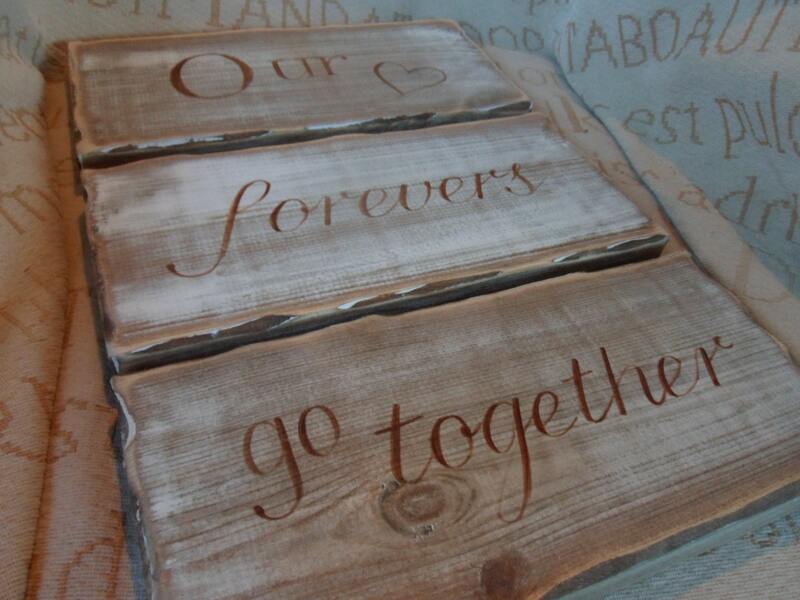 So go on....Make a lasting impression with our beautiful, thoughtful personalised keepsakes from Simply Wood at Eldermeadows, Hubberston Dairy.